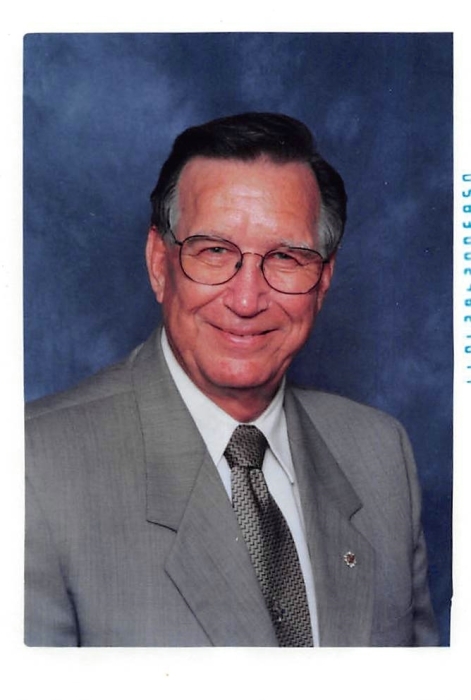 Oscar Irwin Wilkie age 85, of Broken Bow, Oklahoma passed from this life on Tuesday, March 26, 2019 at Paris Regional Medical Center in Paris, Texas. Oscar was born on August 5, 1933 in Ardmore, Oklahoma the son of Herman and Tommy Wilkie and later adopted by Tony and Minnie Silver. In 1951 he graduated from Antlers High School and furthered his education at Southeastern State University, Northwestern State University and finally Perkins School of Theology. He has been licensed to preach since 1949, ordained “Deacon” in 1964 and ordained “Elder” in 1966. Throughout these years of service he has found time to preach revivals throughout Oklahoma and surrounding five state area, hold office of president in the Lions Club, Kiwanis Club, Rotary, Ministerial Alliance, and Chamber of Commerce, chaired numerous parades, taught in public schools, drove school bus, officiated at sporting events, sports caster on TV and radio, “Past Master” of various Masonic Lodges fourteen times and Oklahoma Grand Chaplain of Masons twice and much, much more. Rev. Wilkie was also a veteran of the Korean War for which he earned a Purple Heart. He was elected National Chaplain for the Disabled American Veterans for ten consecutive years, is a life long member of the VFW and American Legion and has had the great honor of receiving the Gold Medallion Award from Chapel of Four Chaplains in Arlington, and Virginia. In the words of Rev. Wilkie “the highest honor I have received was my call to preach it has been a glorious 70 years. Oscar was preceded in death by his parents, Herman and Tommy Wilkie and adopted parents, Tony and Minnie Silver; one brother and three sisters. Oscar leaves the love of his life, his wife of 63 years Joyce Wilkie of the home; children, Barbara Morgan of Oklahoma City, Oklahoma, Don Wilkie and wife, Teresa of Holly Creek, Oklahoma, Betty Baxter and husband Don of Choctaw, Oklahoma; eleven grandchildren and sixteen great-grandchildren a host of other relatives and friends. A visitation will be held on Friday, March 29, 2019 from 6:00 to 8:00 P.M. at the Bunch-Singleton Funeral Home Chapel. A Celebration of Life Service will be held on Saturday, March 30, 2019 at 2:00 P.M. at the Methodist Church in Broken Bow, Oklahoma with Rev. Michael Dye and Rev. Larry Bowman officiating.